Want your shiny new treats right now… but the bank just isn’t your friend? be split into 4 small fortnightly installments. 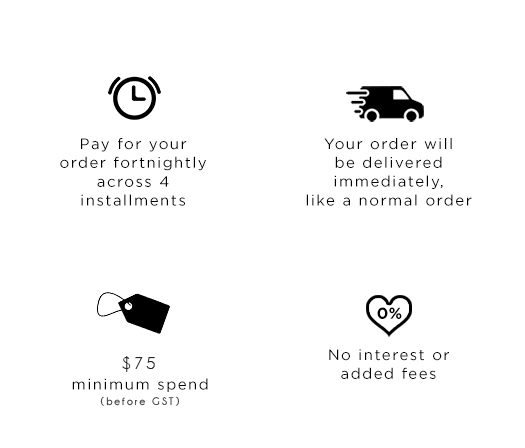 There is a minimum spend of $75 ($82.50 inc GST) required to use Afterpay, and purchases can be made up to $1000. Afterpay is only available for customers that have an Australian credit or debit card and live in Australia. Unfortunately, overseas residents cannot make payments using Afterpay.